What can I send to Cyprus? What items are restricted? At present we can only offer delivery services to "Southern" Cyprus. Some smaller towns/villages do not have a delivery option and will need to be collected from the delivery station in Paphos or Larnaca. Please check with SendMyBag prior to booking shipments to small towns to ensure there is a delivery option. If you are going to Cyprus for a beach holiday or if you plan to stay active and explore more of the island, Send My Bag can help by shipping your luggage and any sporting equipment you might need to your hotel. You can also go mad at the local shops as your purchases can be shipped home by Send My Bag. This allows you to avoid the possibility of excess or oversized baggage fees and to avoid queuing at bag drop or luggage carousels. If you are studying in Cyprus, perhaps as part of your degree, or on a language course, Send My Bag can send all the possessions you will need for your stay in Cyprus. By shipping your things rather than bringing them on the plane yourself, you can avoid the risk of excess baggage fees. Plus, you can bring so much more with you than you could check into the hold of your plane. No matter if you are going to Cyprus for a holiday or if you are moving to Cyprus for good, you can send your luggage and boxes with Send My Bag. This means you can fully enjoy your journey to Cyprus knowing that your luggage is being taken care of. You can pack all the possessions you need to make you feel at home in Cyprus, while avoiding the hassle of dragging heavy bags behind you through airports and onto buses and trains. Instead, your baggage can be waiting for you at your hotel. To learn more about sending luggage to Cyprus, visit our ‘How it works’ page, or our ‘FAQs’. There are six golf courses on the island of Cyprus, most located in the south, such as Elea, Aphrodite Hills and Secret Valley. You can enjoy these courses under the sunny skies of Cyprus using your very own golf clubs, by shipping them to Cyprus with Send My Bag. Other than being able to use equipment that is familiar to you, you can also avoid having to wait around at bag drop or luggage carousels, or having to drag large golf bags behind you. See more information on how to send golf clubs with Send My Bag, including how to best package your golf clubs. Cyprus caters perfectly for both road bike and mountain bike enthusiasts, with pretty countryside for all cyclists to enjoy. Why not explore Cyprus by bike by sending your bike to Cyprus with Send My Bag? This means you don’t have to bundle it into the back of a taxi or onto a bus. Instead it will be waiting for you at your accommodation. Your bike needs to be taken apart and safely packaged up before being sent to Cyprus. Check out our information on bike shipping to learn more. If you are relocating to Cyprus you will have to investigate international removals to Cyprus in order to shift all of your possessions too. Make sure you go for a reputable removal company and that you package up all your items carefully so that they arrive in one piece. Use suitable packaging for your items and tape everything up well. You might decide to take your degree course in Cyprus, at one of the public universities, perhaps ? such as Cyprus University of Technology, the Open University of Cyprus or the University of Cyprus. If you are studying at one of these institutions, or at one of the private institutions, Send My Bag can send your possessions to your student accommodation, making your move an easy one. Send My Bag can help you ship everything you need to Cyprus, from books, to clothes, to writing materials. Read more about student shipping on our student page and find out how to receive your student discount. Sending a parcel to Cyprus with Send My Bag is a great idea if you need to send fewer items. You can ask a friend or family member to send things to Cyprus for you, or they can also use the service to send you gifts or care packages. When sending a parcel to Cyprus make sure you pick a sturdy box and seal it up well so nothing gets damaged in transit. Read more about sending a parcel and find out what you can send with Send My Bag and how to package your items. If you have items ? such as a console table or ottoman ? that you need to send to Cyprus you could try air freight. It usually takes one or two days for items to be flown to your destination, making it a quick service. It can be quite expensive, though, with costs increasing as your shipment size increases. You will probably also have to pay for a customs agent to sort customs clearance for you. Another expense to consider is getting your items to and from the airport, which means the price of using air freight could quickly mount up. If you send internationally by air freight to Cyprus your items will likely arrive at Ercan, Larnaca or Paphos Airports. Another means of shipping large bulky items is sea freight or container shipping. Sea freight shipping to Cyprus can take a number of weeks, but it’s a good option if you don’t need your items straight away, especially as it’s typically cheaper than air freight. However, you will still need to pay for the services of a customs agent and will need to arrange transport for your items to and from the ports. When using container shipping to Cyprus, your items will most likely arrive by ship at one of the major sea ports, such as the Port of Limassol. Wow! I cannot believe the two boxes were delivered from Florida USA to a Paphos village in Cyprus in 4 days! They were delivered to the door, not a central office which myself and mum are very happy about. Will definitely recommend. Thank you! Most Send My Bag shipments are not stopped by customs. This is because the majority of countries offer consignees a duty-free allowance for personal effects. Personal effects are normally considered to be used items that have been in the sender's possession for 6 months or more. So that customs officials know that your shipment consists of personal effects, you must create a short non-generic packing list online, to be completed as follows: "3 x Denim Jeans, 2 x Pairs of Leather Shoes, 5 x Cotton T-Shirt", etc., rather than as "10 x Used Clothing". If Cypriot customs find brand new or commercial items in your shipment, they may assess what you are sending for customs duties and taxes. If you are shipping Christmas gifts to Cyprus please check with local customs so you are aware of any customs duties that need to be paid, follow any advice given and attach all documentation required of you. As customs processes and allowances are different, depending on the country, we advise travellers to take 5 minutes to see how their personal circumstances and what they are sending will be viewed under current Cypriot customs regulations. 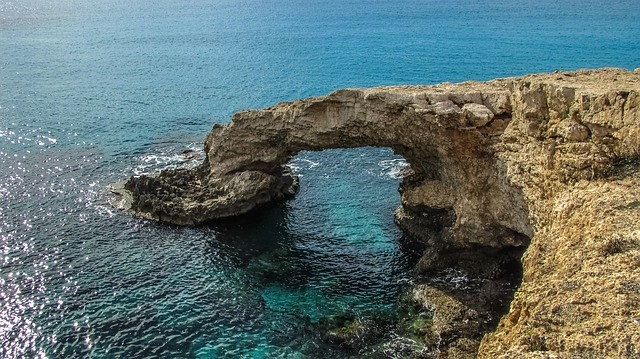 Cyprus is a great destination for beach holidays, with plenty of beaches to choose from. Quieter areas can be found on the western peninsula and livelier resorts in the east. One of the most popular beaches is Fig Tree Bay. Others include Konnos Beach, Nissi Beach and Governor’s Beach, all of which have blue flag accreditation. These resorts all have restaurants nearby, umbrellas for hire and lifeguards on duty during the day. Outdoor activities are well catered for, with deep bays offering excellent snorkelling or diving. The packed sand of the south coast also offers walking and jogging opportunities. There are facilities for water sports at many of the resorts. Cycling will allow you to appreciate the landscape of Cyprus inland, from its mountains to vineyards and olive groves. Alternatively, these regions can be enjoyed on foot, along the hiking and nature trails set out by the Cyprus Tourism Organisation. There is also much to be seen indoors in Cyprus, including several local and national museums.